Looking for Financial Advice for Expats Algeria? Want UK qualified and EU regulated Advice? 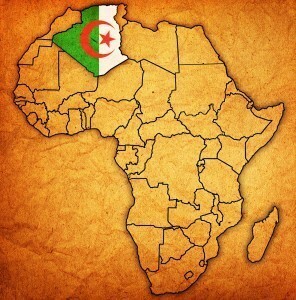 To begin with, Algeria offers some exciting and rewarding career opportunities. Finding good financial advice expats Algeria is difficult though. Moreover, the appointments are complicated in Algeria and accessing European qualified advisers familiar with the needs of international Expats is hard. Algeria requires a change in lifestyle and your finances must also adapt. With this in mind, Harrison Brook understands C21st Expats. Our experience in Algeria allows us to provide transportable financial planning that expats can access and continue to use globally. So what services do Harrison Brook offer? Expats Algeria follow a transient lifestyle which prevents stable financial planning. As such, despite large salaries, retirement and pension planning suffer. Therefore, the Offshore Retirement Plans offer the perfect solution to expats who wish to invest for their future. Moreover, this geographically portable option removes the complexities of retirement plans in different countries as there no restrictions on which country you can contribute from. The plan also grows in a tax-efficient investment area no matter where you may move or retire. Organise an expat financial advice Algeria appointment scheduled at your convenience today. Ever worked in the UK? Did you know you can transfer and consolidate your UK pensions into one manageable investment? Your pension is probably your second largest asset, but do you know what it is invested in? What its performance is? What charges do you pay? A UK pension Transfer can grant you a superior retirement income and Harrison Brook specializes in providing expert QROPS advice allowing our clients to simplify their existing pensions and gain access, control and quarterly analysis of these hard-earned investments. See UK Pension Transfer – QROPS or give us call. Global competition for University places if fierce and so tuition fees are rising exponentially. When putting in place an effective and tax-efficient International Education Savings Plan you can ensure your children are able to pursue the career they desire and lead a fulfilling life. Our Education Plans offer total freedom on your country of contribution and where you may wish to en-cash the funds for education expenses. Moreover, they remain in one tax-efficient investment area growing tax-free no matter where your career takes you. Take the first step today and empower your children to shape their own destiny. Basically, an Offshore Account is one located outside the depositor’s country of origin. No Ferrari needed. In fact, they are the most cost-effective way for Expats Algeria to manage their global payments and eradicate the bureaucracies of living abroad. Protection – Counteract dangers of corruption and unstable regions (African regions). To learn more about our range of Offshore Accounts available book an Expat Financial Advice Algeria appointment. International Expat Life Insurance protects those you care about. Nothing could replace you, but money provided at the right time will ensure your family will be financially secure without you. Therefore, Harrison Brook is committed to providing Expats with the best value Life Insurance. Discover more about the market-leading protection products and services. The laws regarding investment advice in Algeria differ significantly from the levels of protection offered to clients in Europe. As such not only are levels of advice likely to be poor but the client also has little power or protection against the effects of this bad in advice in the future. Frustrated with low interest and inflation eroding your hard-earned savings? With this in mind, we have a range of portable investment solutions including fund platforms, flexible lump sum vehicles, and portfolio bonds. Accordingly, our portfolio management is tailored to every client, from investment term to your attitude to risk. Get in touch today for expat financial advice Algeria and review how you can improve your financial strategy. Why Expats choose Harrison Brook for Expat Financial Advice Algeria? Specialists in dealing with Expats Algeria. Solutions tailored for transient Expats who move around. Direct telephone lines – That means no queuing or stupid automated system. European Regulation – Regulated to the highest levels globally. No restrictions on client location in Algeria. How do you learn more and take the first step? Use our revolutionary online advice service and get started today with free expat financial advice Algeria with no obligation.